10 Irish businesses were served with closure orders in September, according to the Food Safety Authority (FSAI). The FSAI made the orders based on breaches of food safety legislation. Three of the businesses were based in Dublin. Two were in Galway, two were in Donegal, and the rest were in Tipperary, Cork, and Westmeath. This number is an increase on the closure orders issued by the FSAI in August, where nine premises were served with the notices. Spar, Upper Baggot Street, Co. Dublin (closed for two days). Larry’s Marino Fair’s food storage area, Marino, Co. Dublin (closed for 10 days). Akash, Blackrock, Co. Dublin (closed on September 26). Chens Oriental Taste, Rochfortbridge, Co. Westmeath (closed for one day). Caspian Pizza, Donegal town, (closed for one week). Glebe Gardens and Café’s bakery storeroom, Baltimore, Co. Cork (closed on September 29). Harrys Bar and Restaurant, Bridgend, Co. Donegal (closed on September 21). The Village Store/Kelly’s Last Chance Bar, Nenagh, Co. Tipperary (closed for 13 days). Corrib Catering, Salt Hill, Co. Galway (closed for one week). 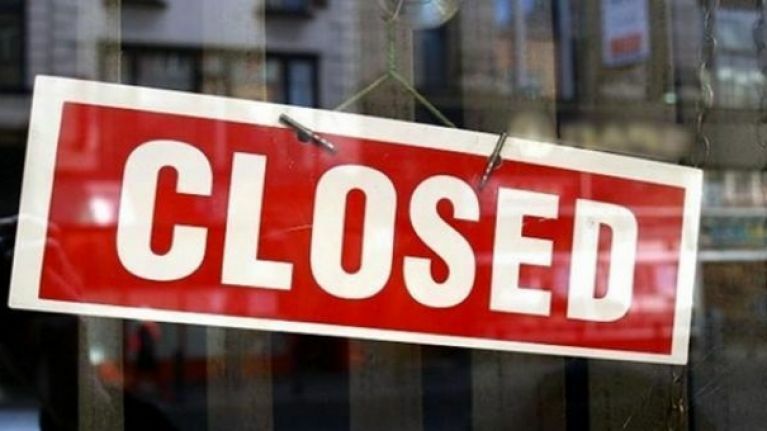 Closure orders for businesses that remain shut have not yet been lifted.